There are a range of training sessions available for members during the season. 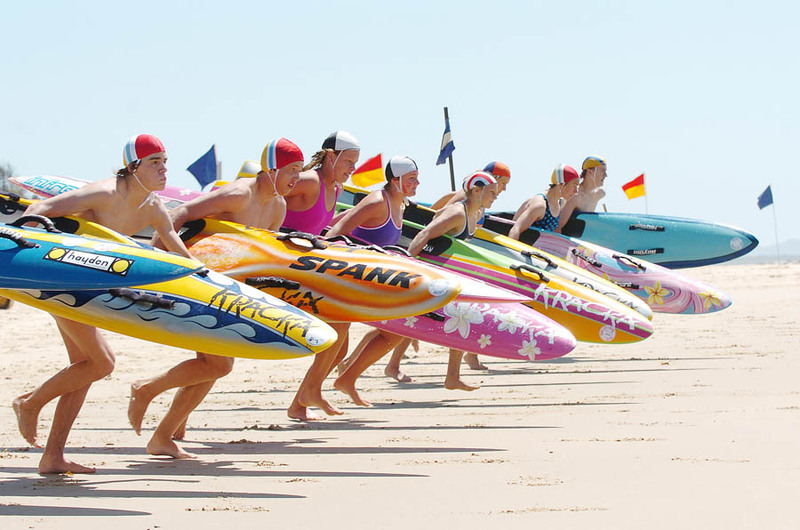 Club coaches can be contacted by phoning the club on 66523245, at info@coffsharbourslsc.asn.au or call into the club reception. Craft and events include . . . 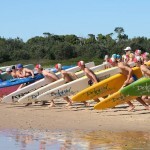 Single Surf Ski Race – from a floating start, competitors paddle their surf ski around three buoys and return to the finish line. 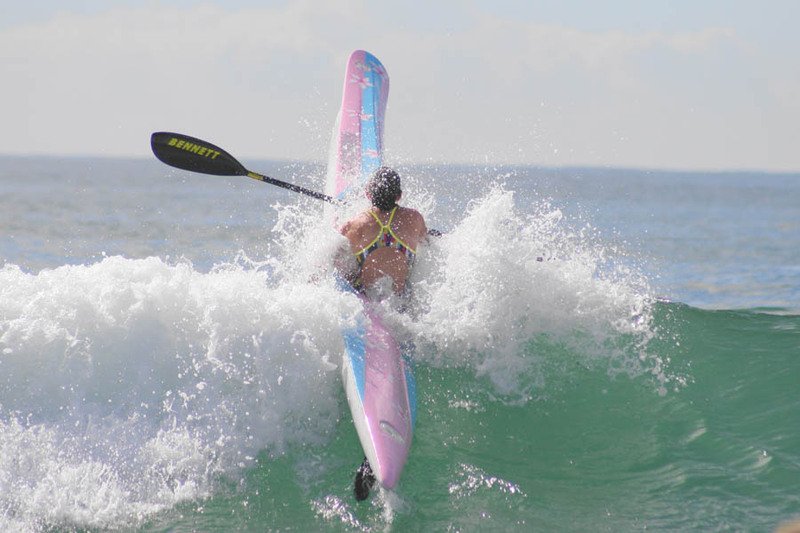 The finish is judged when any part of the surf ski crosses the finish line with the competitor and their paddle all in contact. 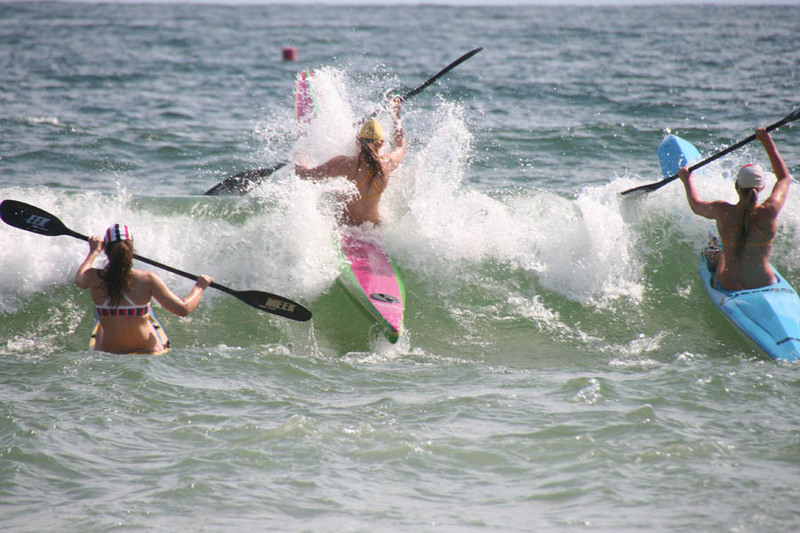 Double Surf Ski Races – from a floating start, competitors (two per ski) paddle their ski around three buoys and return to the finish line. The finish is judged when any part of the ski crosses the finish line with both team members and at least one paddle in contact with the ski. 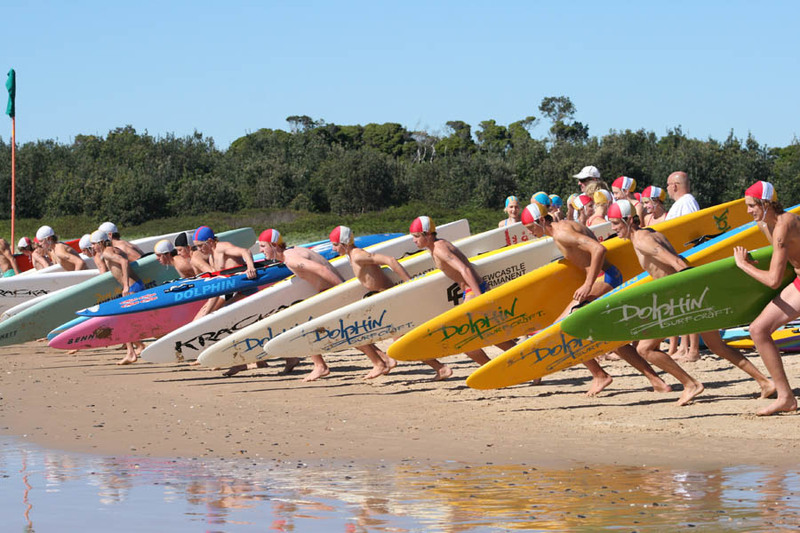 Board Races – from the beach (standing start) each competitor enters the water with their surf board, paddles around all buoys and returns to the beach. The winner is judged by the first competitor to cross the finish line on their feet and in conact with their board. 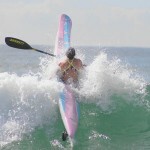 Iron Person – this event is a combination of a Board race followed by a Surf Race (or vice versa). 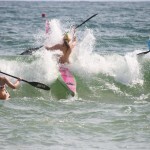 Board / Surf Ski Relay – teams of three competitors compete in a relay format over a course similar to the respective individual races. 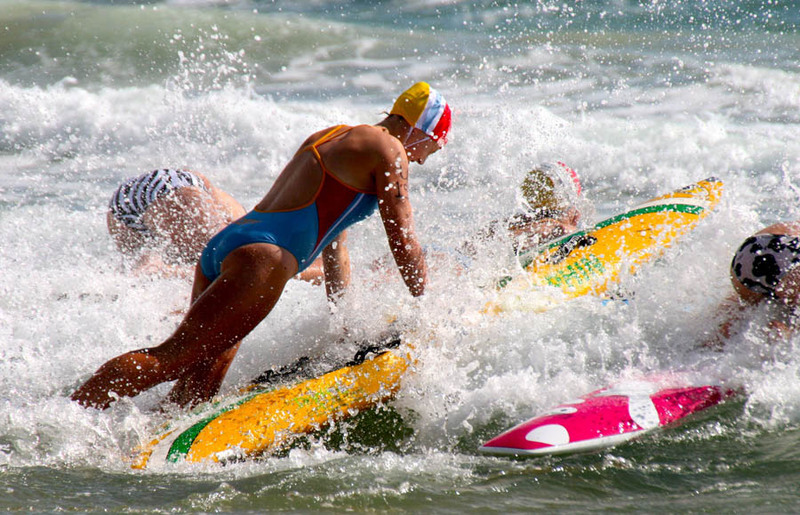 After rounding the buoys and returning to the beach the first competitor runs around two turning flags to tag the second competitor. The second competitor then completes the course and tags the final competitor. 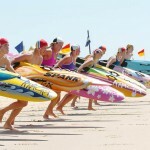 The race finishes when the final competitor rounds all buoys, returns to the beach and runs to the finish line.